Man, I don't even know where to start....there's so much! Well let's just dive in! Something we have not yet seen on Lost before is that a character flashback goes back to a previous experience on the island. 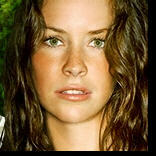 Claire slowly regained her memory of the missing 2 weeks from her vacation on the lovely island resort. What did we learn? Ethan is more of a psycho than we thought! Has anyone missed Tom Cruise's cousin being on the show? I sure did! Was great to revisit his character. He opened up to Claire about her having to die to save the baby. And how he was going to miss her. Of course this was right after he drugged her with some Dharma Punch. That dude is just flat out psychotic! But he did keep revisiting the concept of "We're Good people" They were obviously trying to earn Claire's trust of leaving the baby. Not sure why...since they were going to kill her anyway. The Lost producers refer to him as "Mr. Friendly," Sawyer and fans refer to him as Zeke. But now what do we call him? Gordon's Fisherman Impersonator? The dude is putting on a disguise for our fellow survivors. Kate found Zeke's hidden stash of his infamous Hat, the beard, and the "Theatrical Glue" So....anyone want to revisit the TRUMAN SHOW theory? Yeah, me either...but it's always fun to think that they're all on a Live TV show. If that was the answer to the mystery...I think I'd be more upset than if it was Purgatory! So what's the logical conclusion then? Maybe Zeke has run into our survivors PRIOR to Island life. And he needs to disguise himself so he isn't recognized. He also made a reference to "HIM not being happy" common guesses are that he was referring to Alvar Hanso.....since even Zeke himself has quoted him before as a GREAT MAN. But, that just seems too easy. Looks like someone higher up is in charge on this island? Who else could it be? Locke's "DAD"? Sun's DAD (The Korean linking in the Dharma video)? Hell, it could even be JACK's Dad for all we know! I'm not convinced he's dead (corpse and all)! Yes, I'm obsessed with it being a character's dad. It could be someone else. So, while Ethan was pretending to be a doctor (along with Zeke)....(or maybe he IS a doctor..who knows)....Ethan injected the Baby with some kind of Vaccine. We have confirmation that the vaccine is the same one that Desmond was injecting himself with. It seems like this disease is something that eventually is going to start taking victims on the island. You know the one that causes Quarantine to be written on the inside of the HATCHES? yep..I said Hatches. I totally forgot to mention we have a new Hatch! A new Dharma station with the medical symbol. I mean, we already knew from the previews, but it was still exciting. And this puppy comes complete with a BABY ROOM! There's tons of stuff to play with and there's that crazy mobile of spinning oceanic planes. Anyone notice the song playing? It was "Catch a Falling Star and Put it in Your Pocket" Anyone know the significance of this song? I suggest we all revisit season 1 and the Claire flashback episode "Raised by Another" hmmmmm Raised by AN OTHER? niiiiice. But anyway, my point being that Claire, while in the lawyer's office with the adopting parents, asks the new parents to sing to the baby "Catch A Falling Star" when putting the baby to sleep. This raises many questions. Was the lawyer one of the OTHERS? Were the adopted parents in on the plan? And more importantly, that crazy Psychic (you know the Russian President on 24) that KNEW the plane was going to crash put Claire on it! Maybe he was included in the Truman Show script! (just kidding!) But seriously, maybe there is more to the psychic than we originally thought. Also in the baby room were more methods of transportation....TRAINS (like the mechanical sound that accompanies the smoke monster), Boats (like Walt was taken on)....and of course the Planes. All speculation on the P&S blogs. We also finally met Alex. And she's not such a bad girl! She saved Claire right before she was going to be chopped up to get the baby out of her! Way to go Alex. We also found out Rousseau isn't up to anything fishy (for now at least) and actually was trying to save Claire....we finally saw the entire scratching of the arms scene.....and Rousseau knocked Claire out (who was still drugged)...and carried her back to where Locke and Boone found her. Good stuff. Oh, and we find out that Jack was right about Aaron, he didn't have anything more than a cold or something....and finally recovered. But at least Claire went all Mom crazy anyway and went looking for answers! Speaking of Jack, all this talk and we still haven't even touched on Jack, Locke and their little prisoner! Listening to the podcast they explained the concept of the prisoner in the hatch. We are not meant to know if Henry is an OTHER or Not. And it doesn't really matter on the surface. What the situation brings is that he is an unknown person on the island...and there are roughly 40 something people trying to co-exist in a community. But there is still no Social Structure and no LAWS on this island. Kinda like the start of Deadwood! (I know..I'm the only one that watches!) So, it raises a lot of questions on how to treat newcomers to their group? And how far is too far in interrogation? Well, based on what we've seen of Henry, he's either really bitter and trying to cause problems, or he is intentionally there to cause problems. And he is going to spark some major controversy between Jack and Locke. Back to the social structure.....Henry questioned why Locke let Jack call all the shots. Locke says that they make decisions together. Henry didn't see it that way....which caused Locke to go all psycho and break plates that they served fruit mush on. Major conflict is brewing! There was also the whole debate about Hemingway and Dostoevsky and their two different styles. I'm not going to say I understood any of it besides the fact that Henry was looking to cause conflict between Jack and Locke. But the book was Dostoevsky's "the Brothers Karamazov" here's a link http://en.wikipedia.org/wiki/The_Brothers_Karamazov An entry on the P&S blog had the following to say ""The book is written on two levels: on the surface it is the story of a patricide in which all of the murdered man's sons share varying degrees of complicity but, on a deeper level, it is a spiritual drama of the moral struggles between faith, doubt, reason, and free will. "" Okay....and what is up with EKO??? He marks up these trees and tells Charlie that "these are the ones I like" (I guess they didn't burn down??? ).....and then he starts chopping them down? And he needed a saw. What's he making? Firewood or something else? Then of course he went all crazy with meeting Henry and pulled a knife out and apologized to Henry. (because he needed to tell someone? Is that so? There must be more to it) But I guess he was growing those 2 little goatee extensions as a penance for killing the two men. And then he chopped them off with the knife. Gotta love crazy Eko. Oh...you may want to go have a look at a video about the Dharma Initiative http://www.prestonandsteve.com/video/144.wmv (FYI, this link should bring your media player right up) I think it's pretty bogus, but it looks authentic until they start showing people at the end. But someone went to great lengths to make it. So check it out! Yep, I said there was a lot. And I'm sure I missed a lot. And I'm expecting there to be much discussion! (not sure why...no one EVER comments!) Please submit anything else you have found that I didn't cover! Share people! So hope you enjoyed my thoughts and hope it's enough reading material to last you until April. By my math, there are 9 episodes left, with probably a 2 hour finale (which counts as 2 episodes).....so 8 weeks of episodes should take us straight from April to the Final episode. That sounds like an offer too good to pass up! 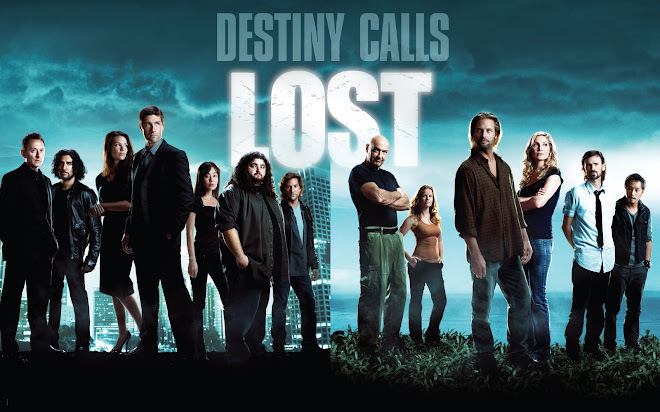 It's funny that every show since the invention of Television has gone through a 24 or 22 episode cycle from September to May, but people just seem to notice all of the breaks more with LOST than any other show! But that's because it's such gripping television! Well LostHeads....see you in about 4 weeks! WHOOPS for anyone that reads the blogs. the next episode is March 22nd. The last I had read it wasn't until April, but it looks like things have changed. We're getting at least 2 back to back episodes March 22nd and March 29th. Just wanted to let you know, i'm really digging your blog. I'm JUST now getting around to watching this show on DVD and i realized that a big part of the show was all the "water cooler" talk I missed while it was coming out. Your blog has made me feel I have someone to "talk" to about each episode. (I read each re-cap right after I finish an episode). So thanks for doing what you did way back when, I appreciate it so much now! Nice to see another post from years after the original airing! And Mike, I'm glad you said you get email notificiations on new comments, so you'll know I stopped by. 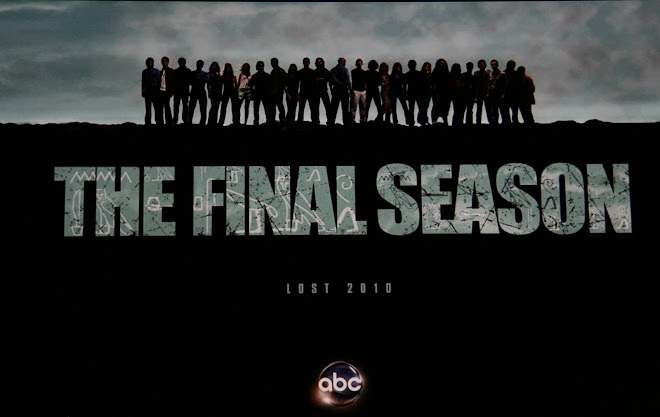 Like Anonymous, I am binge-watching the Lost series and following along with these recaps episode by episode. But I discovered this blog with ep 17, so I'm not commenting on anything to do with the plot in case I accidentally mention something from a future episode that I've seen. I don't want to spoil anything for future commenters who are also watching the series for the first time and reading recaps and comments one ep at a time. I've already watched ep 18, so I'll wait at least until that one to chime in (and probably have to re-explain my presence again). 11 years later..thanks for the review, stranger! Just discovering this show now and reading every entry after each ep, thanks for all the speculation it's the only place I can read without spoilers - have to avoid the comments tho! Hi Anonymous - sorry I'm just getting to this comment. Google has kindly decided to stop notifying me when new comments come in. argh! Anyway, glad you found a place where you can get some spoiler free speculation! Just so you know, the comments don't really get into future episode speculation. Maybe when I've been commenting to people after the fact I "barely" hint at a few things but nothing that would spoil your enjoyment of the future episodes! I usually just say "good speculation! Not going to spoil it for you!" lol But when the new episode recaps posted during the original run, that's when the comments stopped on the prior episode recaps. So it's a nice point in time look at the show. I know it has benefitted some bingers in recent years.